It's fall, y'all!! That means it's time for cider, watching the gorgeous display as the leaves turn, and PUMPKINS!!! Create a lovely fall pumpkin using pen and ink with watercolor! 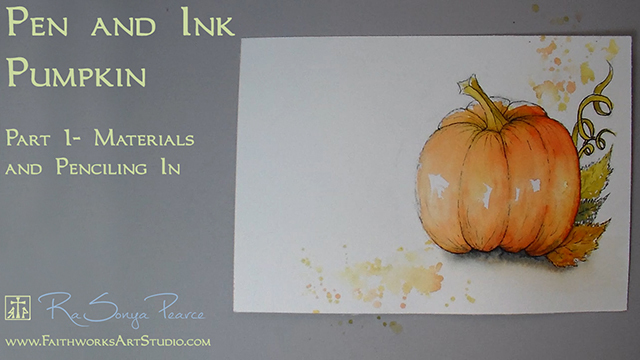 Work along with me in this four part video series as I show you all the steps to create an adorable pen and ink pumpkin.